The horizon for corporate adoption of renewable energy becomes more expansive with every passing year. Emerging markets for renewable energy, such as China, are opening with attractive options and a promising outlook for corporates looking to address their global energy usage with clean power. The driving force behind the growth of renewable energy opportunities in China is the rapidly dropping costs of renewable power and the pace of corporate commitments. Solar power presents an increasingly attractive prospect for commercial and industrial (C&I) energy buyers with operations in China. Between 2011 and 2015, the global average price of solar PV modules dropped between 75-80 percent, with steady declines predicted to continue. As could be predicted, between 2011 and 2017, installed solar PV in China skyrocketed from just 2.3 GW to 130 GW. China also announced an updated 5-year plan for climate and energy, which includes an ambitious goal of increasing non-fossil fuels to 15% of total energy consumption in the country by 2020. These factors, combined with the growing number of multinational corporations publicly committing to clean power (over 130 companies have joined the RE100, 374 companies are taking action via the Science-based Targets initiative(SBTs), and others) make China an exciting platform for corporate renewable growth. Onsite solar is the primary opportunity for corporates to focus on in China. A steep drop in costs has resulted in greatly improved returns, making PPAs for onsite generation an attractive option for C&Is. In addition, the Chinese government offers a subsidy for onsite solar generation of ¥.37/kWh (about $.06/kWh). In 2018, this subsidy decreased for the first time, and is expected to continue to decrease in the coming years. As a result, companies considering taking advantage of the current opportunity for solar in China are recommended to act quickly. Once a project is complete, and accepted into the government registry, the subsidy rate is locked in for 20 years. To capture the greatest value, companies should aim to get projects completed before the rate drops again (likely to happen in 2019). Installing solar onsite via a PPA requires zero upfront capital expenditure and—due to the low price of solar in China—onsite installations offer significant opportunity for energy cost savings and progress on environmental performance. Public pressure on corporates to address global carbon footprints is more intense than ever before and supply chain scrutiny is becoming just as important. The impact of this pressure is more than just reputational; In 2017, China shut down tens of thousands of factories due to environmental penalties. For multinational corporations with operations in China and/or supply chains that operate there, cleaning up energy supply is no longer an option; it is a must. Though the opportunity is immediate, it is worth answering a few questions first to see if an onsite PPA is appropriate for your organization. Are your facilities owned, or leased? If your facilities are leased, a 3rd party PPA is more difficult. Though this does not necessarily kill a deal, working with landlord approvals can create more barriers to adoption, and it can be a complicated task to get landlords to buy-in to putting solar panels on the roof. In the case that facilities are leased, a self-investment strategy will reap the highest value as project returns can be as high as 15-20 percent. What is the age of the facility and the quality of the roof structure? Many facilities in China have outdated roof structure or minimal load bearing capacity (solar typically requires at least 15kg/sq meter) which could jeopardize the quality of an onsite solar installation. Knowing the age of the roof is very important, as is whether it’s a steel or concrete roof as the latter has a much higher load bearing capacity. How big is your rooftop? Rooftops smaller than 2000 square meters are more difficult to get PPA providers interested in because smaller projects require a similar time investment, but result in lower returns. A self-investment strategy is a viable alternative to a PPA in this scenario. What is your annual electricity load/capacity to utilize renewable energy? In addition to the size of the rooftop, knowing how much electricity your facilities consume can help with right-sizing a solar installation. For example, a warehouse facility may have ample roof space for solar panels, but low electricity consumption. This can be challenging because the electricity generated by the panels may be sold to the grid instead of consumed, resulting in lower payback. How much do you pay for electricity? Electricity price determines the financial return of the project and impacts the viability of whether a developer is willing to offer a PPA. Knowing your current electricity rates will help you understand the potential returns of an onsite solar investment. In addition to answering these questions, several tools exist that allow C&I buyers the get a gauge for whether onsite solar is a good fit, and develop a business case for exploring this strategy. 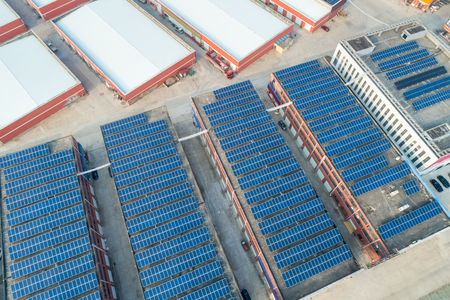 Seeder Energy, an advisor for solar in China and partner of Schneider Electric, has developed a solar calculator which companies use to get a rough estimate of possible opportunities by simply entering the size of a facility’s rooftop. Upon entering the roof dimensions, the calculator approximates the size of the solar system, how much electricity it would produce annually, the amount of savings expected depending on the chosen financing structure, as well as the installation’s annual carbon-reduction potential. In addition to using the solar calculator, corporates exploring this opportunity often find value in doing a feasibility study to gather all the necessary information to make a decision. A project feasibility study and site analysis provides the options, costs, risks and benefits of onsite solar deployment. There are many nuances to these projects that can become a barrier if not addressed early in the process. 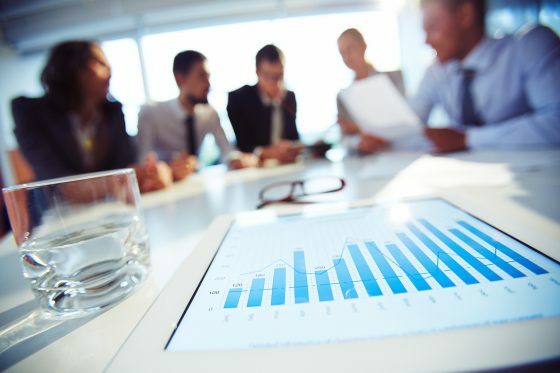 To make the best decision, companies use feasibility studies to provide sound financial data and comparisons of a variety of options. A professionally-executed feasibility study dives into variables that range from the solar system potential to the rooftop loading capabilities to the financials and weather data. This gives companies a better idea of what options are available before acting. Engaging a trusted, experienced advisor helps to overcome any challenges uncovered during the feasibility study and negotiate with local counterparties. Understanding the market norms, policies and pricing ensures that risks are covered and that the best deal is achieved. Through a feasibility study performed by Seeder Energy, an American Fortune 500 company with four factories in China identified their two best site locations for onsite solar, where best to use a PPA, and determined that the two sites were not suitable for a PPA and instead opted for self-investment. In the feasibility study they received detailed financials based on several scenarios and flagged potential local permitting issues on one site which helped them make an informed decision. The study also provided the company with expected pricing and terms. Access to this information significantly accelerated the vendor selection and negotiation processes since they already knew the optimal price and terms for their given projects. This post is also available on Schneider post. Read more here! Looking at the biggest companies reveals an even stronger commitment, with 63% of Fortune 100 companies leading the trend to address climate change. Leading companies include Apple, Bank of America, Facebook, Google, and Walmart. Despite the relatively smaller absolute percentage in the bottom quintiles, Fortune 401 – 500 companies, the smallest in the cohort, have shown significant improvement. Compared with 2014, the percentage of companies with targets rising from 25% in 2014 to the current 44%, a total increase of 19%. This improvement in the smaller Fortune 500 companies reflects the shift in corporate attitudes towards renewables. Like Marty Spitzer, Senior Director of Climate and Renewable Energy at WWF said: “American businesses are leading the transition to a clean economy because it’s smart business and it’s what their customers want.” Setting renewables target expands from larger companies to companies of relatively smaller scale might represent a positive trend and it is likely that companies outside of the Fortune 500 will continue the increase in renewable targets. Buying clean energy is becoming a trendThe rapid increase in corporate renewable energy PPAs and other direct contracts points to the overall trend that large companies are increasingly looking to more direct forms of procurement over unbundled RECs to maximize both the business and environmental benefits of these purchases. The trend is set because direct procurement (onsite installations and offsite procurement where the company is involved in some way in the energy sales transaction in addition to taking title to the RECs) allows companies to both access fixed-priced renewable energy, which can save on energy costs over time, and to cause new generation to be built over what would have been driven by regulation, enhancing the emissions reduction impact of the company’s investment. The plummeting price of wind and solar allows companies to achieve more than just GHG emission reduction targets. The purchase also brings reduced operating costs, long-term price stability, and a diversified energy supply. Achieving clean energy targets means saving money and growing profits. In 2016 alone to totals $3.7 billion, up from $1.7 billion in 2013, were saved by nearly 80,000 emissions-reducing projects implemented in 190 countries. In the meanwhile, companies also decreased their annual emissions by 155.7 million metric tons of CO2 equivalent, which is equal to taking 45 coal-fired power plants offline for a year. This number was only 26.7 million in 2013. During three years of time, companies increased their savings by $2 billion and 129 million metric tons of CO2 equivalent. The improved impact to the environment is all the more significant. The environmental impact is more certain as more companies adopt science-based methodologies to inform and monitor their renewable targets. A significant number of these companies are increasing their ambition by aligning their carbon reduction goals with climate science, such as Walmart’s Gigaton commitment. The company aims to reduce its carbon dioxide emissions from upstream and downstream sources by one billion tons (a gigaton) between 2015 and 2030. A science-based target utilizes the best available scientific data to define a company’s appropriate share of emission reductions required to limit global temperature increases to below two degrees Celsius. Various methodologies to inform their science-based targets have been developed and are constantly evolving. For instance, the decarbonization pathways by the Intergovernmental Panel on Climate Change (IPCC) have been adopted by several companies. Implementing science-based methodology implies more commitment and ambition. 168 Hours on 100% Renewables: Qinghai’s Trail Means More Potential for Governments and Companies to Go Green. For seven days — from June 17th to 23rd — China’s Qinghai province ran on 100% renewable energy, including solar, wind, and hydropower. During that time, the province generated 1.1 billion kilowatt hours of energy for over 5.6 million residents. That’s equal to burning 535,000 tons of coal. The week was part of a trial conducted by the State Grid Corporation of China, which aims to test the viability of relying on renewables long-term. This successful experiment in part proves China’s dedication to fulfill its commitment to the Paris Agreement, peaking its coal consumption and reducing its carbon intensity by 60%-65% by 2030, as well as its hope to produce 20% of its electricity from renewable sources by 2030. It also demonstrates that running largely on renewable power — at least in certain places — is technically feasible. We hope this will embolden governments and companies to envision a future with more renewables in their energy mix. The geographic location of Qinghai is rich in solar and hydro resources. Out of Qinghai’s 23.4 GW of total power generation capacity, around 82% is from renewable sources (including hydro). Solar alone accounts of 29.1% of all capacity installed, registering as the second largest power source of the province. By 2020, the province plans to expand its clean energy capacity to 35 GW, which could supply 110 TWh of clean energy annually. Ample summer rainfall is a significant contributor, as hydropower accounted for approximately 72% of the electricity generated during the seven days. Apart from strong hydro output, Qinghai’s low power demand is also an important reason for this trail to success, something difficult for other places to replicate. The average daily power demand is 150 million kWh, only 15% of that of the much more developed Zhejiang province (1 billion kWh daily demand) for example. Running on solar, wind and hydro, Qinghai has shown the technical viability of going 100% renewable and it proved that the grid is stable when supported by a variety of renewable sources. This test helped China’s grid operators to accumulate technical experience in deciding how much power should be supplied by which sources. More renewable energy also makes economic sense for Qinghai. “On-grid price of hydro power is 0.201 yuan/kWh, while coal power is 0.325 yuan/kWh. Coal is 0.124 yuan more expensive than hydro per kWh. It´s also cheaper for grid companies obviously. In another word, it is economically viable.” Xiaoping Xie, president of Huanghe Hydropower Development Company said in an interview. Yunnan, Sichuan and other provinces rich in renewable resources, that have installed many renewables are also in the condition of accomplishing something similar, although they have not announced such intentions as of yet. Such government-led pilot schemes have shown that the Chinese government is willing to fulfill its commitment to clean energy. In addition to the government’s role, companies around the world have stepped up their effort by setting renewable targets. 23 Leading Fortune 500 companies have gone a step further by integrating a 100% renewable energy commitment into their business strategy. For example, Google has promised that by 2018, every click on Google will be powered by renewable energy. Qinghai’s 100% renewable energy trail provides an important signal to governments and companies alike, that high percentage of renewable energy power mix is no longer just a vision but a reality, and that adoption will only grow higher going forward. For companies that care about their energy footprint, this trial — and the broader direction it signals — not only mean that their own effort to procure clean energy will create synergies with government initiatives, but also that electricity generated from their renewable projects will be better absorbed by their grids and communities, allowing them to reduce curtailment risks and contribute more to local communities. Ten years ago, Geof Moser had just graduated with a master’s degree in solar energy from Arizona State University – but he didn’t feel much opportunity lay at his feet in his home country. So he headed for China. “The solar industry was fairly small and there weren’t a lot of jobs,” he remembers. “Just a few for installation.” But the Chinese government had big ambitions to expand solar and Moser saw his chance. He spent some years accumulating knowledge about the Chinese solar industry, before co-founding Symtech Solar, which designs solar panel systems using Chinese parts. The idea is to make it easy for organisations outside China to access components without the hassle of having to source and assemble lots of different parts. “You don’t want to buy a car door or a car engine, you want to buy a car,” he explains. Symtech now has a portfolio of small projects dotted around the world and it is hoping to increase installations in the Middle East, thanks to a new office in Oman. Moser isn’t the only US entrepreneur who turned to China. Alex Shoer, of Seeder, helped to launch a business that brings solar panels to the roofs of buildings within the country. He deals with foreign businesses who, say, want to make their Beijing office a little greener. The firm says it has so far erected three megawatts’ worth of solar installations, with another 28 megawatts on the way for various clients. “We will source the capital to finance, pay for the whole project and then sell the power at a discount,” Shoer says. Again, the model relies on sourcing the right parts at a favourable cost. These kind of installations are known as “distributed generation” projects, in which electricity is produced on a small scale, at or very near to a specific point of consumption. Within China, distributed generation is growing at an extraordinary rate, driven in large part by farmers who use the panels to power agricultural equipment that might not be connected to the grid. Shoer comments that he was attracted by Beijing’s commitment to the solar industry. For years it has encouraged local authorities to do what they can to boostproduction, research and development. China’s rapid expansion of renewable energy facilities has since caught headlines around the world. According to the International Energy Agency (IEA), the country installed more than 34 gigawatts of solar capacity in 2016 – more than double the figure for the US and nearly half of the total added capacity worldwide that year. Early figures for 2017 show China has added another eight gigawatts in the first quarter alone. “It’s a huge market,” says Heymi Bahar at the IEA. Most of the world’s solar cells are made in China and Taiwan, he adds – more than 60%. The impressive scale doesn’t stop there. The largest solar farm in the world – Longyangxia Dam Solar Park, all 30sq km of it – is a Chinese project. And the country recently opened the world’s largest floating solar farm, in Huainan, Anhui Province. It has been constructed over an old coal mine, which over the years had filled with rainwater. Sungrow, the Chinese firm that provided solar cells for the venture, says its system automatically monitors current and voltage generated by the cells, along with humidity, which can affect their efficiency. Because of the abundant water nearby, cleaning the panels – an endless task for solar farmers – will be easier, according to those behind the facility. These mega projects have become possible, and indeed more common, thanks to the rapidly falling cost of solar cells. “What we were all hoping for 20 years ago when the idea of cheap solar was just a dream, was that someone would come into this on an industrial scale and drive down the cost,” recalls Charles Donovan, at Imperial College Business School. But today, solar energy production accounts for just 1% of China’s total energy demand. A huge 66% of demand still comes from coal, something that the country’s National Energy Administration wants to change drastically by 2050 – not least because of China’s well-known air pollution problems. But by that key date of 2050, a very different mix of energies could be powering China, should some projections become reality. One government report even suggested that renewables could supply 86% of the country’s energy needs, with solar providing around a third of that. Can China do it? According to one expert observer, the answer is, “maybe”. “What China is trying to do is rationalise a very large, fast growing system,” explains Jeffrey Ball at Stanford University’s Center for Energy Policy and Finance. Ball is the lead author of a recent report that details China’s success as an innovator in the solar panel industry. But as Ball points out, the revolution has not been without teething issues. For one thing, Chinese subsidies, which some argue are unsustainable, have not always been smoothly administered. The “feed-in tariff”, for example, often offered to solar companies that generate electricity, has sometimes been paid late. “The government is often a year or more late in delivering that revenue – that wreaks havoc with the financials on a project,” says Ball. The value of subsidies has recently been cut, too. What’s more, China’s large solar farms are largely in less densely populated areas in the west of the country, far from population centres like Beijing or Shanghai, in the east. Building extra grid capacity to transfer it is time-consuming and expensive. This leads to a problem known as curtailment – a solar farm produces, say, 20 megawatts of electricity but can only find buyers for 15 megawatts. “Depending on who you talk to in the provinces that have by far the largest amount of solar production, curtailment rates are 30% and in some cases significantly higher than 30% – that’s extraordinary and that’s a real problem,” explains Ball. Whether China can achieve its lofty ambitions for renewable energy remains to be seen – but it has certainly proved its ability to foster a world-leading solar industry. For US entrepreneurs like Geof Moser, that’s enough to propel his own business towards further growth for now. Corporations keen to source clean energy understand the advantages of distributed generation. Apple, a leader in corporate renewable energy purchase, wrote in its Environmental Responsibility Report that “Apple’s renewable energy approach goes a step further to make sure we ‘deposit’ on the same grid as the energy we are ‘withdrawing.’” This preference is because distributed generation (DG) faces less power loss during transmission, no curtailment risks, and corporates can contribute to local economies and communities. But China’s not-so-liberal power market has so far prevented a consumer from buying electricity from nearby distributed generators. Electricity from a rooftop solar project, for example, can either be used by the building directly beneath, or be sold back to the grid – and dispatched just like electrons from any other source. For the first batch of pilots, power retail would only be allowed in very small areas. Power sellers and buyers should be in the same 35kV power supply network – which is normally a district in cities like Shanghai – or the same 110kV network when it is the lowest voltage network, such as in industrial parks. Distributed power generators can sell power in three ways: 1) They can trade directly with an end consumer within an 110kV network; 2) They can also delegate the grid company to sell power; 3) Or they can choose not to participate in the retail market and have the grid company purchase all of its electricity. For a buyer, this means it can purchase power from a DG source directly or from the grid for DG electricity. The government will acknowledge clean energy purchased through this mechanism when measuring a company’s clean energy and energy saving efforts. For carbon credits, the buyer and seller can settle attribution among themselves directly. The policy is subject to distributed power projects with installed capacity below 20MW. City- and province-level grid companies will set up trading platforms. Testing the water cautiously, the government will announce the first batch of pilots by May 31st, and trading is to start on July 1st. At the end of 2017, it will decide whether and how to expand the pilot area. We expect power retail pilots to be set up in limited areas at first – an easy starting point would be in industrial parks where power networks are more independent. Even with the small scale, this is an encouraging sign that Beijing is opening up power retail specifically for the distributed market. Furthermore, NEA specifically mentioned that the retail policy will not affect the current subsidy scheme for distributed renewables. For corporations, this policy means that in the near future, more clean energy sourcing options will be available. Corporates will be able to support distributed projects that will create environmental and economic value locally.